Hardwood flooring with minor wear which still retains its color can be refinished to remove minor wear marks and bring a shine back to the floor. Whereas hardwood flooring that has many noticeable scratches, stains or has a fading color in spots would be better addressed treated through resurfacing. With resurfacing the hardwood floor is sanded down to remove all finish and scratches and then recoated with a stain color of your choosing. The process of resurfacing is a more costly and labor intensive process which also takes more time to do as compared to finishing. As part of the resurfacing process heavily damaged hardwood can be replaced with similar hardwood planks and stained the same color as other parts of the floor resulting in a good as new hardwood floor look. The grout (the material that is installed between tiles) in tiles anywhere in the home should be looked at for staining and discoloration. Stains from mold, spilled liquids and more can make tile grout look old and dirty. The main options for dealing with old stained grout are having the grout cleaned with a grout cleaning solution or having the grout stripped out and replaced with new grout. With new grout there is the ability to change the color of the grout and thus change the look of the area along with it. Removing grout and installing new grout is more labor intensive and costly than grout cleaning. Windows are one of those easy things to forget to address but should be looked at closely for cleaning. Cleaning both the inside and outside of the window to help give a clear view is a good step to take. While cleaning the windows be sure to look at the interior and exterior components of the window to check for any signs of weather or use related wear and tear. For the exterior of the home if the window frames are showing signs of wood rot, insect infestation, missing caulk those issues should be repaired before the home is put on the market for sale. If the windows are difficult to open or show signs of broken seals window repair specialists should be called to evaluate the windows. Oftentimes tight or stuck windows can be repaired at a lower cost than it would take to replace the entire window unit. Where seals on windows are broken causing them to have a cloudy look, replacement may be the only option for getting rid to the fog. Check with window companies to find out what solutions they may have. 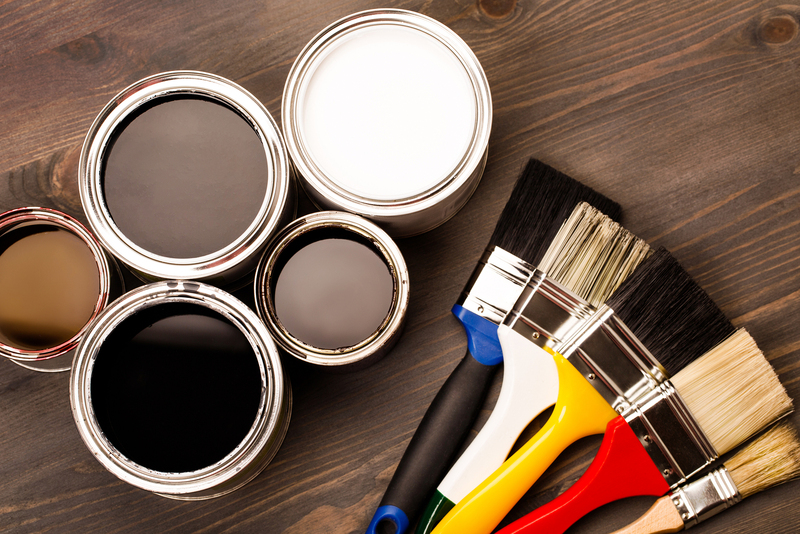 Depending on the age and the color of the paint, the walls and ceilings in a home could do with a good wiping with a moist towel or in the alternative maybe need to be entirely repainted. If the walls show signs of excess stains, scratches, or your child’s artwork spot painting likely won’t take care of the issue and instead will be seen pretty readily by buyers. Even if you are able to obtain the same paint color as already on the walls, paint color fades over time so new paint will stand out against old paint of the same color. Instead it is better to repaint entire rooms with neutral colors to improve the look of the room. Be sure to use paint with primer or apply primer paint first before painting with the final paint. Primer paint will seal stains so they don’t bleed through the new coat of paint. Often forgotten about when the weather does not call for their use, ceiling fans can quickly accumulate dust or sometimes freeze up due to lack of use. As buyers tour your home they will be sure to try out ceiling fan to make sure they operate regardless of the weather outside. Make sure to thoroughly dust ceiling fans and make sure that they run when turned on. Manufacturer websites and troubleshooting guides for ceiling fans should be consulted for proper cleaning methods and lubrication methods in the event there are issues. Be sure to check other fixtures as well. Hanging wall sconces, ceiling mounted lights and more are known for their tendency to collect dust and dead insects. Be sure to clean those areas and carefully wash glass light covers so no light is blocked which can make rooms appear darker than they really are. Consider replacing outdated fixtures with newer cleaner looking fixtures to add value to your home. Depending on the time of year a garage may either have an accumulation of leaves, salt, dirt or something else. Garages should be fully swept clean and maybe even hosed out in order to remove all debris, dirt, dust and salt from the garage. Be sure to check all corners to remove cobwebs that have accumulated dead insects and leaves. Garage doors and garage door openers should be inspected, cleaned and properly lubricated so they don’t sound like jet engines when opening or closing. There are two aspects to consider when cleaning up cabinets in preparation of a house sale. The exterior of the cabinet as well as the interior. If the exterior of the cabinets have marks, scratches, cuts or more they may be in need of repainting, refinishing or repairing. All cabinets and drawers should be able to open and close properly as buyers do look at every feature and amenity of your home. Since buyers will be opening cabinets it is a good idea to reduce clutter and collections in the cabinet so buyers can see how large the cabinets truly are. While it may be convenient to hide everything in a cabinet prior to showings, buyers may not be as enthusiastic about the cabinets if they cannot see the back of them and how big they truly are due to all the stuff being crammed in. Renting a storage unit to hold non-essential items while the home is on the market or asking to store items in a relative’s unused space is a good way to keep cabinets uncluttered. Bathroom, laundry room, and kitchen sinks should be cleaned up to make sure all faucets look clean and are free of any mold and soap scum. If faucets or sinks do not work properly then repair or replacement may be needed. Small chipped finishes on sinks might look ok with the touch up paints found in hardware stores, but larger chips are harder to cover over with the touch-up paint. Not only should the surface parts of the sinks and faucets look good so should the parts hidden inside cabinets. After leaks have been repaired the water stains left behind from those leaks should be cleaned up. As noted above with tile grout in showers and around bath tubs can be cleaned or re-grouted in order to make them look better. Shower curtains should be cleaned or replaced with new curtains. Shower doors should be wiped clean of soap scum, mold and be serviced to make sure they open and close smoothly. Bathtubs with heavy wear or chips on the coating should be re-coated in order to be made to look new again. Whether the appliances are a built-in microwave, stove, refrigerator, dishwasher or something else that will stay with the home the cleanliness of these appliances is important. Food spills in microwaves and refrigerators should be cleaned up so those appliances look spotless. Ovens and stoves should be cleaned so there are no signs of burnt food. While the cleaning cycle for many ovens help keep the ovens clean, after the cleaning cycle is complete there may still be residue to clean out of the oven. Refrigerators should not just be cleaned on the inside and outside front facing surfaces but should also be pulled out and cleaned in the back. Over time a lot of dust can build-up behind refrigerators. Cleaning and vacuuming out the front lower panel below the doors should also yield a lot of accumulated dust if it has never been cleaned before. If a refrigerator is staying with the home after the sale many home inspectors make it a point to check the refrigerator both front and back. Just as with any buyer going to a store to buy something, a clean item will draw more interest and attention than something dirty looking. In fact the dirty looking item will be more likely to attract bargain hunters who want to pay less than the asking price. 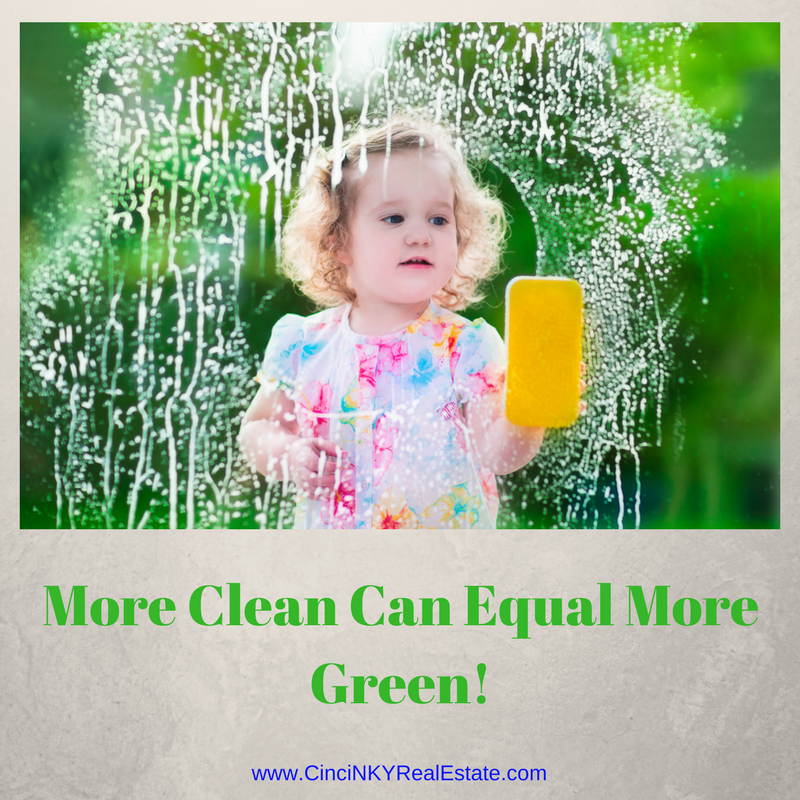 A home is the same way, a clean home means buyers can concentrate of the features and amenities of the home as opposed to how much cleaning will be necessary before it will be ready for them to move into.